Have you ever been playing Fire Emblem Heroes and thought to yourself, “You know, mobile tactical RPGs are my jam, but is there something that references a ton of game lore just like this but has even more story and more anime influence?" Thanks to Langrisser (Free), the answer to your query is now a definitive “Yes." See, Langrisser is based on a long-running video game series as well, one that dates back to the pre-internet Dark Ages of 1981. Only in recent years were some of the prior console and PC releases localized, and the fact that it can now be played on your phone or tablet qualifies as A Big Deal™ in certain circles. Getting lost in the lore is part of the fun, so we won’t get too heavily into the story here. Suffice it to say that the setting is fun but not too terribly different from ones you’ve seen before, and that you’ll receive bonus points for figuring out just who or what Langrisser is before the story tells you. The game also leans heavily on references to the overall series even while spinning a new tale, and has a very FEH-esque excuse for shoehorning in all of your favorites if you’re a longtime fan. Despite that, you don’t need to know anything about the franchise to enjoy the game, but you might want to understand what it’s all about and how to play free as long as possible, so let’s dive into that now. As noted, Langrisser is a tactical RPG where you control a party of up to five heroes and their associated units — soldiers who fight with them. During combat, the maps are divvied up into squares, with melee units needing to get right next to opponents to attack and ranged units able to fire from one square away (usually). When it’s time for one of your characters to act, the game helpfully displays in blue all the squares it can reach in that turn, red squares for where it can’t quite reach, and denotes enemies you can attack with a small sword icon. Just tap to move, and if you don’t like it or make a mistake, you can tap on your original position to reset with no penalty, or even tap on another character to move them first. Every hero has one or more skill (some active, some passive) activated by dedicated buttons in the lower-right corner. You can tap on them to find out what they do, and while some augment what you do in combat, not taking effect until the fighting starts, others take the place of a normal attack — so make sure you know the difference. Some skills have cooldowns after use, while others can be used on every turn. 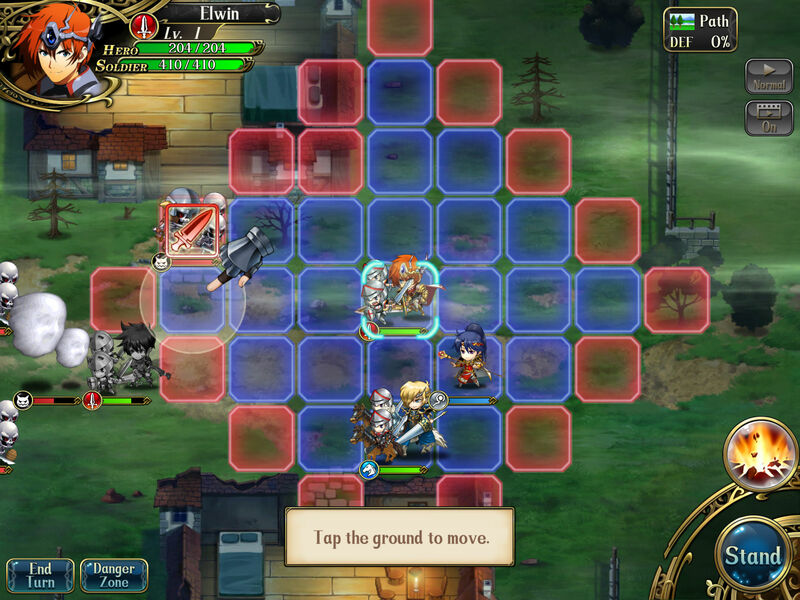 A few neat twists help Langrisser stand out from the numerous other games in its genre. The first is that while it uses a cavalry-sword-lance triangle and other similar relationships between unit types, you can actually switch the class of any character as they advance to change its weapon type. On top of that, heroes can unlock more troop types and you can swap between them prior to battle, giving you the option of, say, putting lancers in front of your swordsman. Since your troops make contact with the enemy first, that means you can effectively make your swordsman mostly an anti-cavalry unit but retain his skills, which is a nifty trick. Finally, in every mode, including the pseudo-PvP Arena mode, you have the option of swapping any character on your roster into your active team before the battle begins. Since you can see the makeup of the enemies you will be facing (with some exceptions where the bad guys get reinforcements as you fight), this allows you to tailor your force to give yourself the best chance of coming out in one piece. And that’s always a good thing. Of course, that means that having a well-rounded roster and keeping as many heroes as possible fully leveled and geared is the best way to be ready for everything, and that’s really what most of the rest of this guide is about. 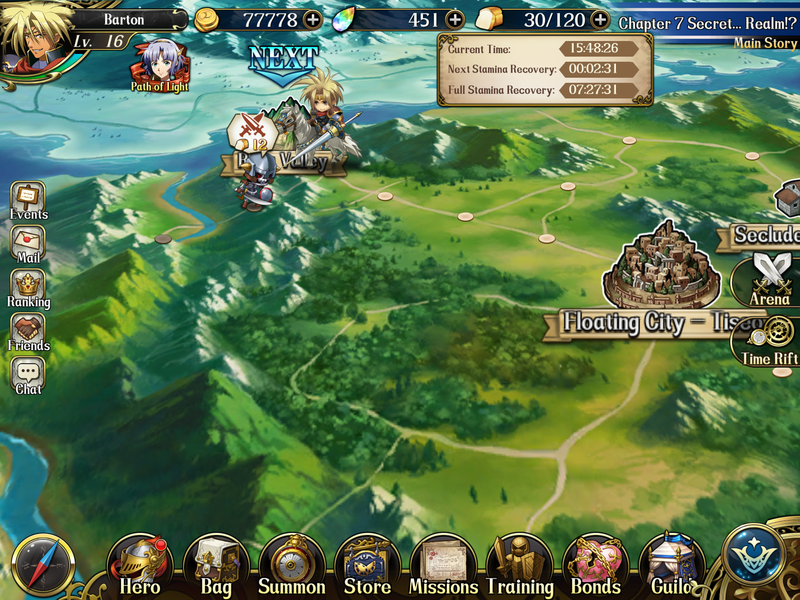 Mostly to its credit, Langrisser has a lengthy tutorial that helps guide you as you take your first steps, then kicks back in from time to time as you start to open up more modes and options. It also hilariously breaks the fourth wall on multiple occasions, with the characters seemingly fully aware they are in a video game. In any case, don’t expect the entire game to be accessible when you begin, as you’ll need to sink in a few hours before the whole scope of it really becomes clear. Since we’ve done exactly that, here’s a quick look at when you can expect everything to unlock. Note that some things become available based on your team/account level, while others depend on your progress through the story mode. So you definitely want to keep things moving with the narrative chapters. Is this an exhaustive list? Heavens no. Langrisser has so many aspects that we might be leaving out one or two, but this gives you a good idea of how not everything is laid out for you all at once right from the start. The trio of protagonists at the center of the game’s story gives you a good foundation upon which to build, particularly since they all have different weapon types. But as we’ve already noted, you’ll want more heroes at your disposal. As Gordon Gecko once said (ask Alexa, kids), greed is good in this case. Langrisser actually gives you two different paths to recruiting more characters to your cause, and in classic JRPG style, those include villains who decide to fight with you instead of against you as well. The first method is to throw yourself at the mercy of the gacha gods via the ever popular Summon system. You don’t actually have to beg the RNG deities, but if you do, video or it didn’t happen. Tapping the ‘Summon’ icon from the bottom nav bar on the main screen will take you to where you need to be. Hero Summons can be done by way of Trinity Vouchers (those are gold-colored) and guarantee you a character — though it might be one you already have, which we’ll discuss in a sec. Friendship Voucher Summons (those are the silver tickets) gets you a mix of equipment and low rarity characters, with the former appearing much more frequently. Bonus tip: For both the ongoing and any promotional Hero Summons, doing the 10x option means you are guaranteed at least one hero of SR or SSR rarity, which are the most powerful tiers. With that in mind, you should always wait until you have 10 vouchers and/or pay the difference in the game’s premium currency, Trinity Crystals. There’s no good reason to single summon. Ever, really. What happens if you summon a dupe of someone already on your roster? Then you end up receiving memory shards instead; gather enough and they help you bump a hero up to the next star rating as in other mobile games too numerous to mention. 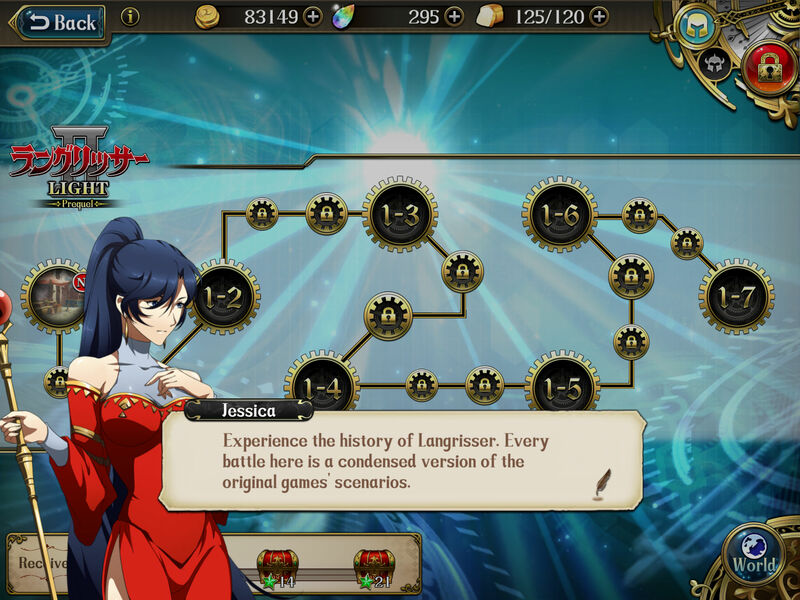 Combined with the ability to earn memory shards in the Time Rift stages, which offer condensed versions of levels from the Langrisser console/PC titles, you should never be at a loss for ways to summon or tier up characters. There are oh so many ways to get these precious currencies without paying money. Okay, maybe not that many, but definitely plentiful enough that you can make do without spending dough if that’s a personal goal. For starters, you can check out the ‘Events’ button on the left-hand side of the main screen. Tapping it will bring up a list of events currently in effect, some of which offer rewards for fulfilling certain conditions. Daily login rewards can also be found here, including (at least at launch) enough Trinity Vouchers for a 10x summon just for logging in on seven consecutive days. Proceeding clockwise around the main screen, your next stop should be the ‘Missions’ icon. Here you’ll find Daily, Challenge (which are ongoing), and Feats (likewise) goals to knock out as you play. All of them have their rewards, including gold and consumables, but the best ones have the good stuff, meaning Trinity Vouchers and Trinity Crystals. The Arena can be a nice way to stash some free Trinity Crystals once you have a team strong enough to make some headway there. Your daily rewards from the Arena are based on how many points you have at the end of each gaming day, and once you’ve got 1300 or more points, Crystals are part of the spoils. They show up in your inbox, too, with no need for action on your part to claim. Last but definitely not least, there’s the Path of Light, which shows up as an icon right under your account profile at the top of the screen. This is a set of pretty involved goals that slowly unlocks one day at a time, though you can work on those left over from previous days as well — meaning, they don’t time out just because you are on to the next day. There is some really sweet loot to be had, so it’s worth keeping these quests in the back of your mind. All of the various reward opportunities will display a small red dot when there’s something to claim, so be heads up for that as you might have earned something you didn’t even know about. While it doesn’t rank anywhere near the top 25 in terms of restrictive mobile game energy systems, Langrisser does indeed have a mechanic that prevents you from simply losing yourself in the game for three hours at a time, ignoring basic human needs like food, sleep and companionship. In this case, it’s called Stamina, signified by a delicious loaf of bread, because that exists in fantasy settings as well as IRL. Every battle in the game’s story mode and within the Time Rift costs Stamina, which is clearly shown before you mosey on over and enter the fray. Fortunately, your maximum Stamina increases fairly quickly as your account levels up, and you get a refresh with each level as well. Stamina recovers on its own at the rate of a point every four minutes, and if you tap on the bread icon at the top of the screen, you’ll also get a handy timer that tells you how long until it’s completely refilled. Because you didn’t fire up the game to have to do math, right? To recover your Stamina faster, you can spend Trinity Crystals, though that’s admittedly not ideal. A much more satisfying and hypothetically tasty way is to use a hamburger to recover 50 Stamina. You can find them as rewards for various missions, and presumably in the world’s equivalent to Five Guys too. For the sake of not turning this guide into a novella, we’re going to avoid an in-depth discussion of strategy in the game. Part of the fun is learning that by trial and error anyway. We will, however, leave you with some general pointers and advice, things that can make your initial steps in the game a little easier. Pretty soon you’ll know more than us and be telling us what to do. It happens. Take advantage of all the ways to make your heroes better. There are obvious ones, like drinking EXP potions so you don’t rely solely on experience gained from battle to level up, since that can be slow. 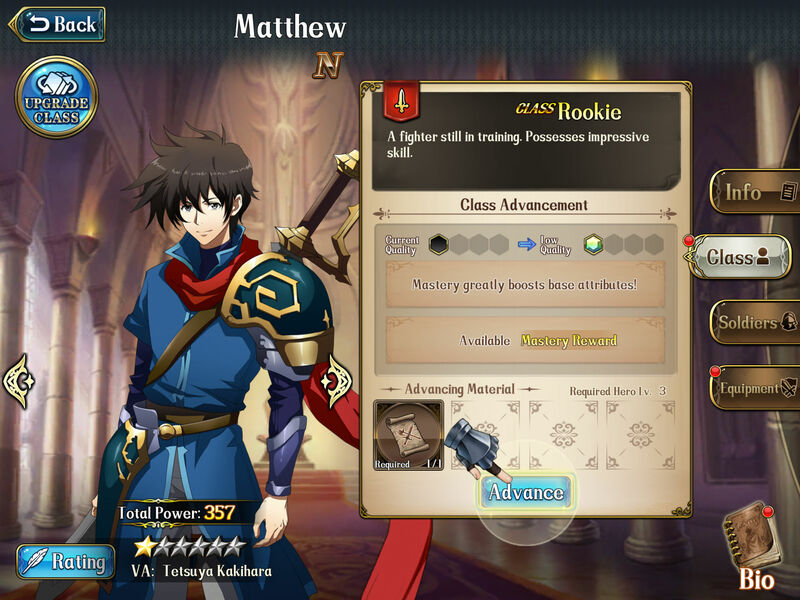 But there’s also equipment, which can be leveled up on its own, and training scrolls that you’ll find in the Time Rift levels that can be used to move your heroes up in class. Not sure what you have on hand? Tap the ‘Bag’ button and you can see your items, scrolls, shards, and equipment in their own tabs. Don’t rely on the AI more than you must. 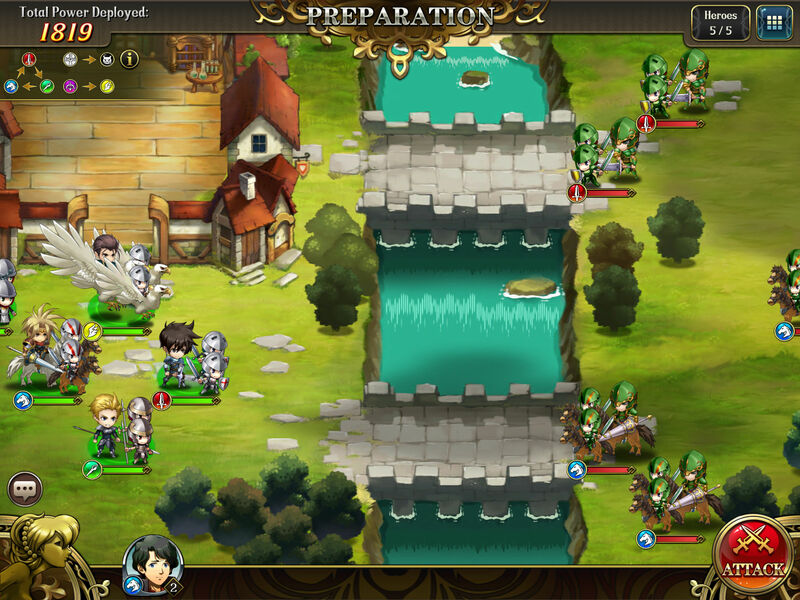 As you’d expect, there’s an option to set battles to Auto and let the AI run your team. It’s a great time-saver and an expected feature in a game of this type. There’s just one problem: The AI is pretty terrible, which you can see in the Arena as you watch it run your team into disaster. The advice here is to only let the Auto take over when you are 100 percent sure you have the opposition outclassed. Don’t say you weren’t warned. Get the lay of the land before each battle. This is covered in the tutorial, but be sure to understand how terrain affects each level before you go charging in. 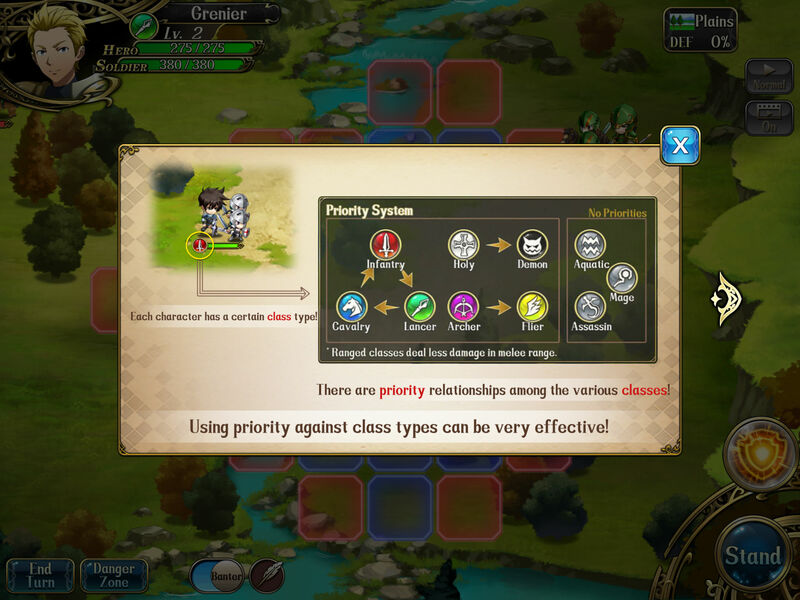 Not only can it block the movement of non-flying units, it also bestows defense bonuses to your units when you are defending in the likes of trees or mountains. All story is skippable. Yep, the tale Langrisser is telling is a big selling point, especially if you already know some of the lore and want to know how everything fits together. It’s also unnecessary if all you want to do is watch tiny heroes and soldiers collide, so look for the skip prompt in the corner and tap it any time you want to get past the talking and back to the bloodshed.